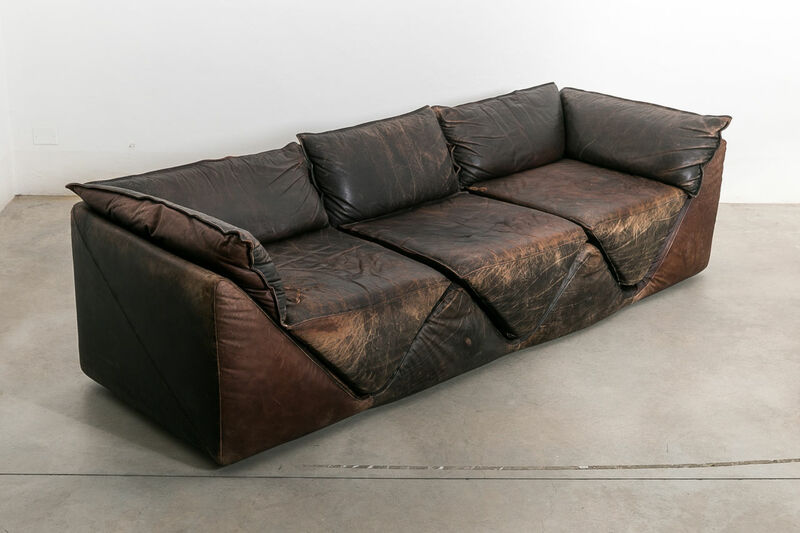 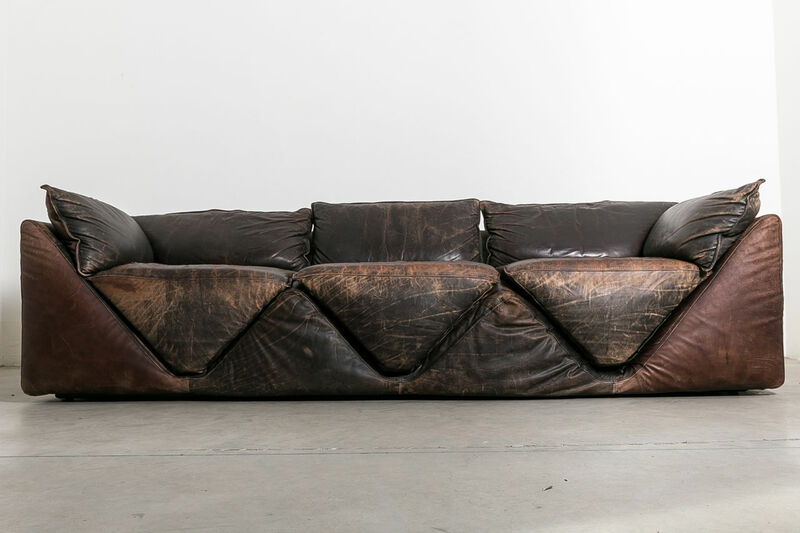 Silene Couch by G. Gentile for Sormani, Circa 1970, Italy | Castorina & Co. 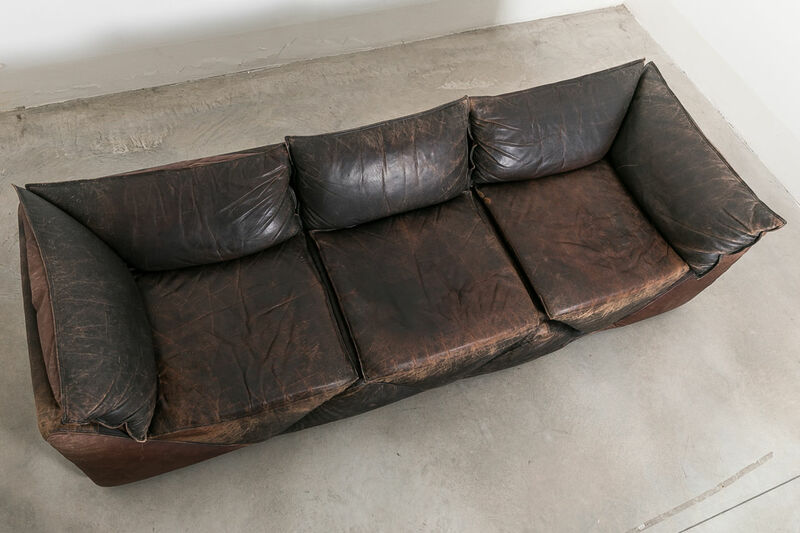 Original & very rare couch designed by G.Gentile for Sormani Italy. 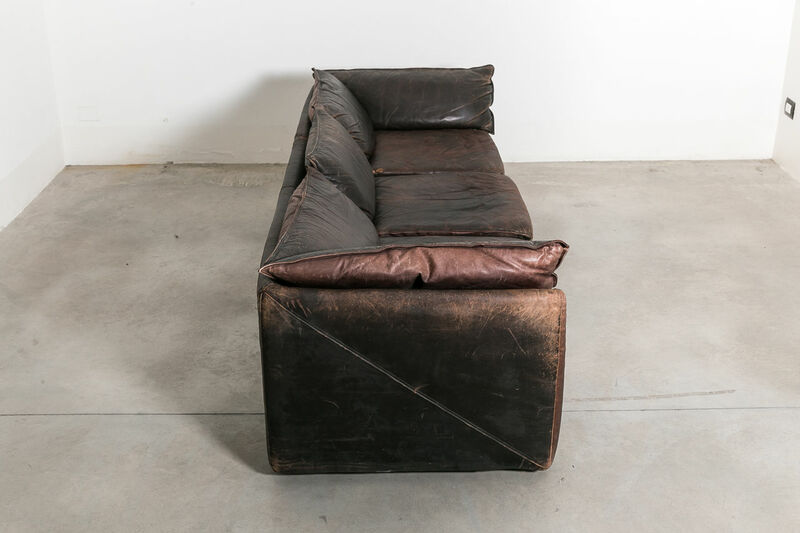 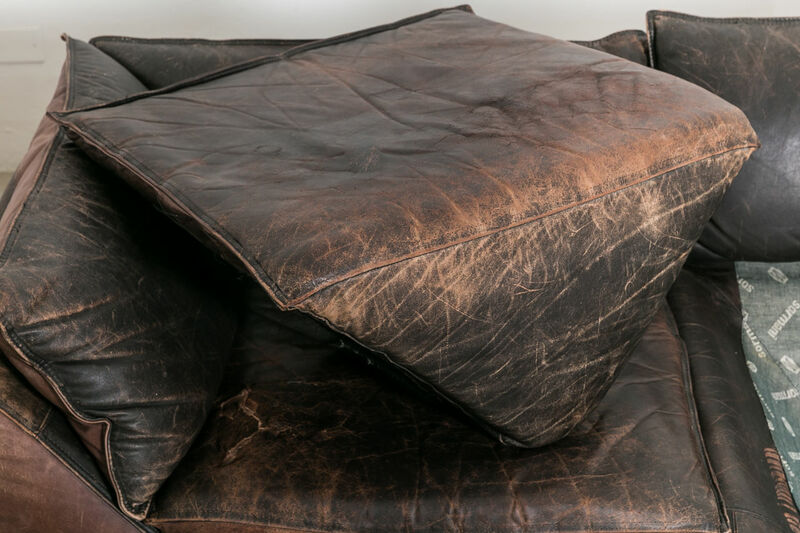 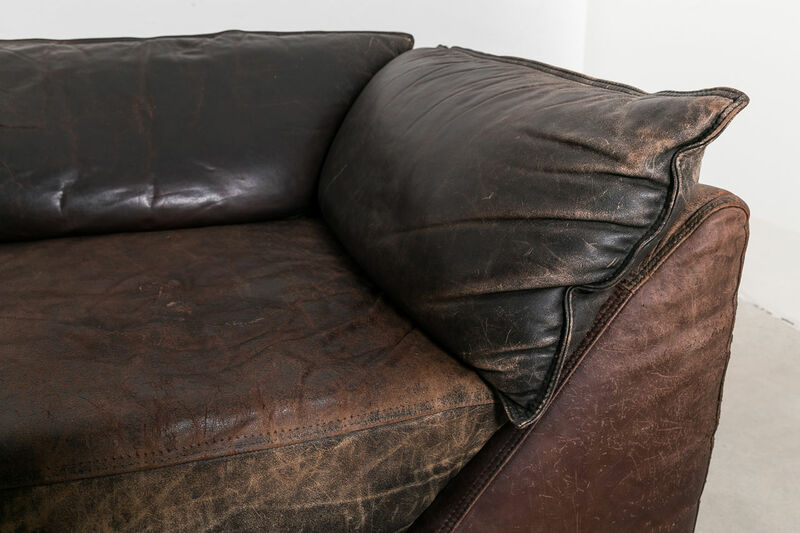 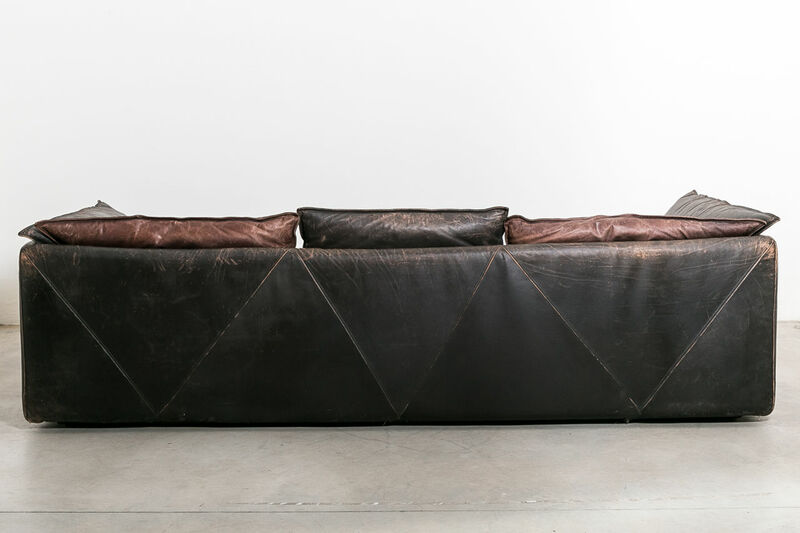 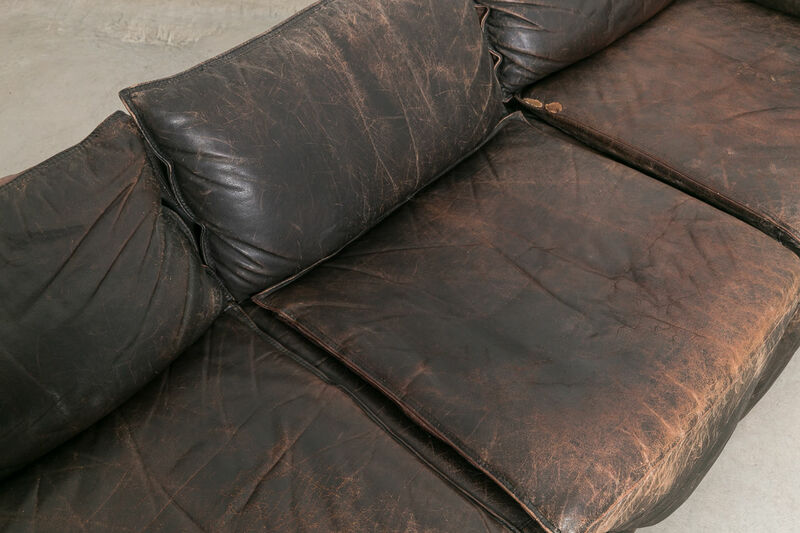 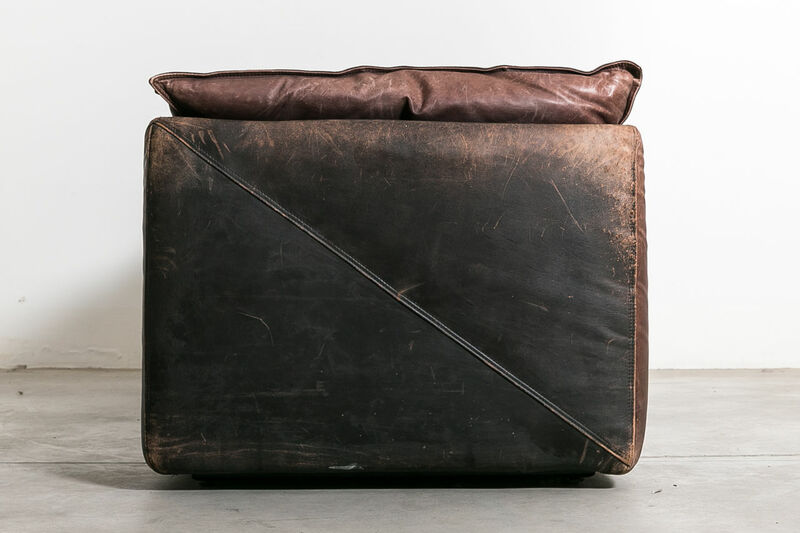 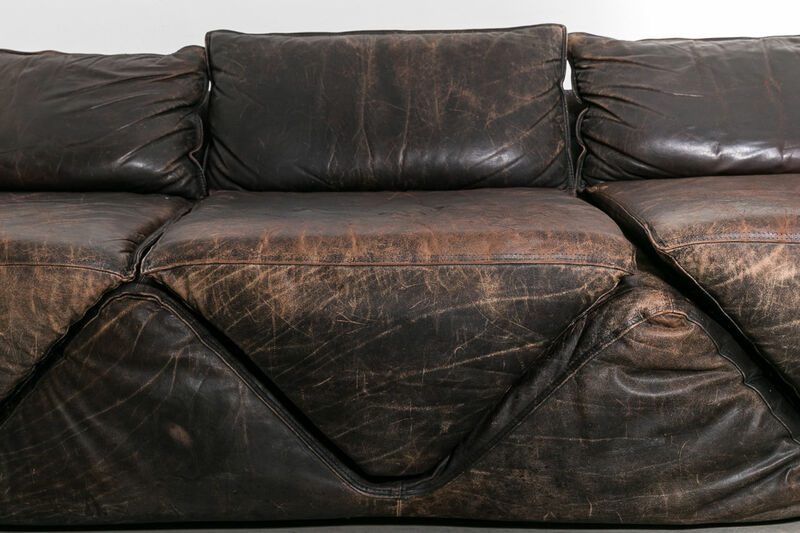 The pillows are cut in a triangular shape and made of leather which has developed a beautiful patina. 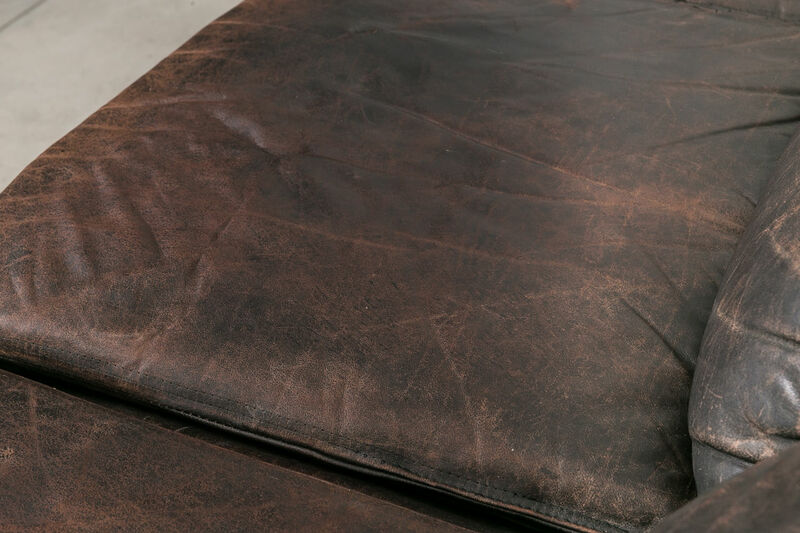 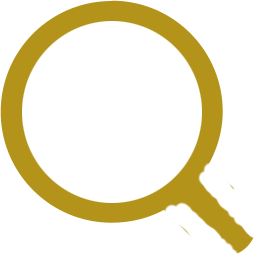 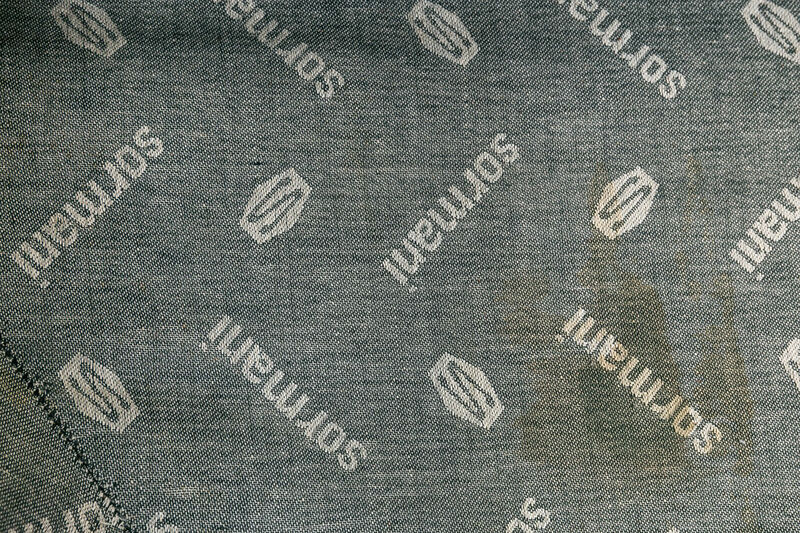 The original makers mark is on the underside of the pillows. 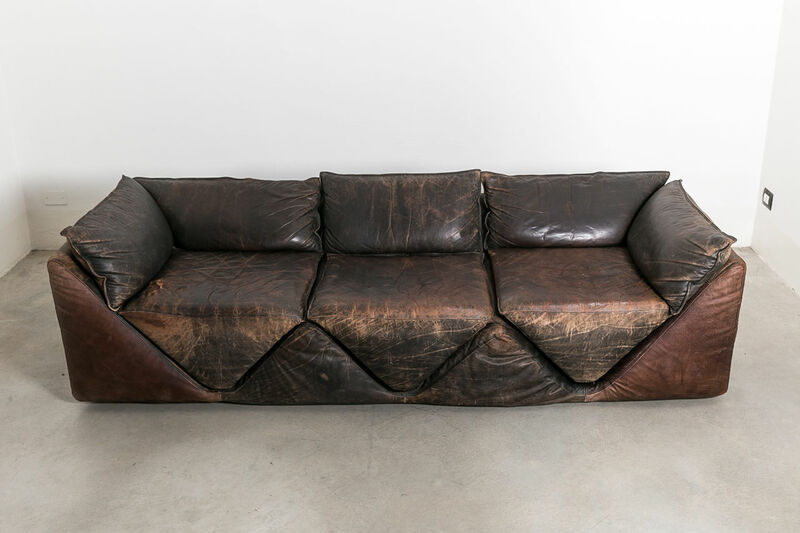 See publication in Domus Magazine, 1973.